Yesterday I updated on how my January goals had gone, which means today it’s time to set some goals for teh coming month! As this month is pretty darn busy with interning, the list is shorter, but I’m still excited to work on a few little goals. 1. Read 5 books in February. Bookworm for life, man! 2. Lose five more pounds. 3. Do seven sessions on either the cross-trainer or the rowing machine at home. 4. Research our upcoming visits to Aberdeen and Luxembourg. So excited for a little travel! 5. Tidy my study enough to post a picture of it (believe me, that’s a pretty tall order as I write!). 6. Throw out / recycle / donate a further ten carrier bags worth of items. 7. Attend at least five cultural events – films, theatre, lectures etc. Happy February, you beautiful folk! What do you have planned? 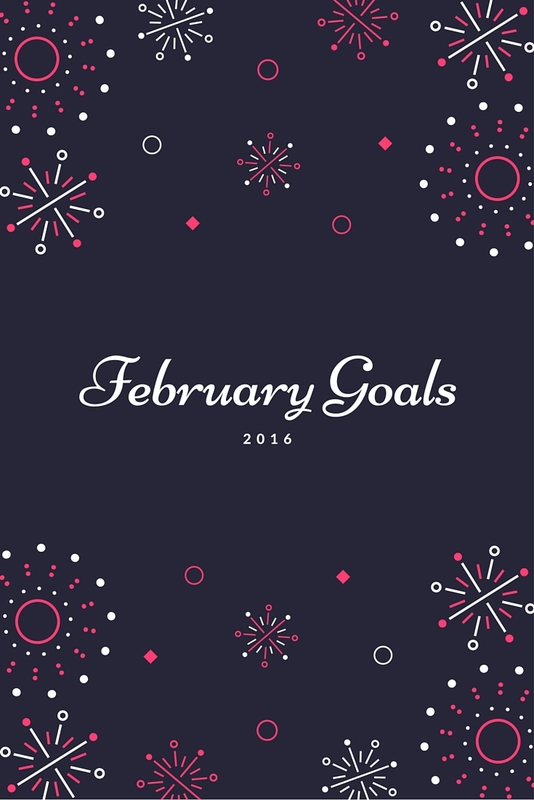 Previous Post January goals….so how did that go? GIF GOALS. YOU CAN DO IT! Sure the books at least will be a very easy one for you! Great goals here – I reckon you have this. Mine are mostly about saving money (which was going super well until the MiH jeans of my dreams – in my size – got reduced to £21 – that's still a saving though right? Deffo a saving – I think classic things like that work out so well on a price per wear basis!